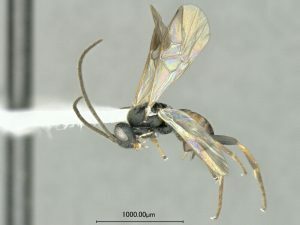 The Field Heroes website shows how natural enemies can help manage insect pest populations. Scouting is still necessary because beneficial insects do not always keep pest damage below economic levels, but spraying without consideration for economic thresholds can hurt the farm bottomline and also cause unnecessary damage to these beneficial insects. Beneficials. Lygus, bertha armyworm and diamondback moth have a number of natural enemies that will keep populations in check. 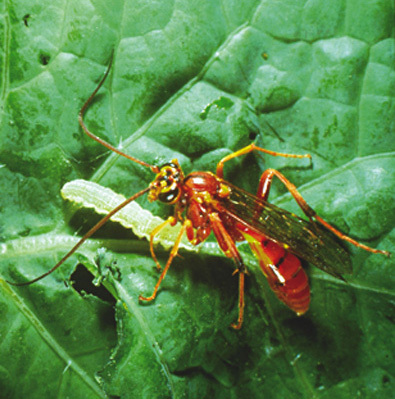 These beneficial insects may not control an immediate pest threat that has already exceeded thresholds — growers will still have to spray in that case — but beneficials can keep a lid on populations. The key to preserving beneficial insects is to follow thresholds and spray only when necessary. Click here for beneficials to look for while scouting. Read more for updates on cabbage seedpod weevil, cabbage root maggot and others…. Here are best management practices to be friendly with bees and beekeepers…. Bees are good for canola. Canola is good for bees. Canola flowers provide an important source of nectar for honey producers in Western Canada: 80% of the honey produced in Canada comes from canola flowers. 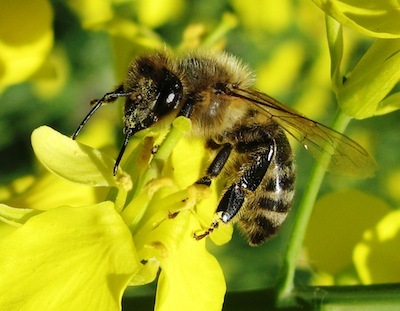 Honey bees and other pollinators can also increase canola yields. Although napus canola is self-pollinating, studies show that the extra level of pollination that bees and other pollinators provide can increase yields. This benefit should be considered when making management decisions in canola that could harm bees.